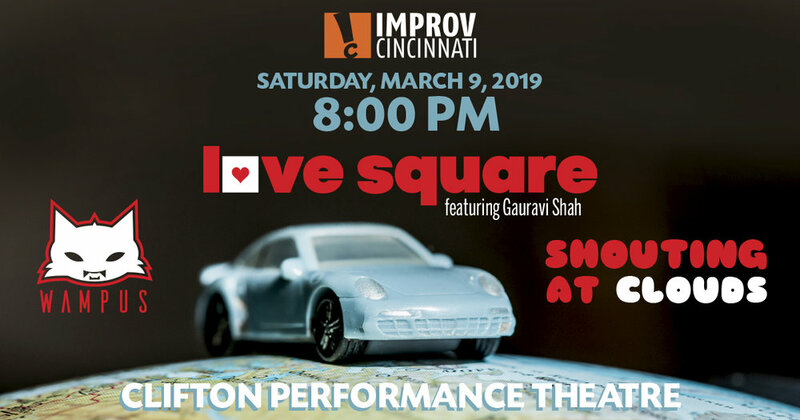 Improv Cincinnati at Clifton Performance Theatre presents Love Square. IC’s co-founders, Jon Ulrich and Colin Thornton, take the audience on a musical road trip. Love Square is rooted in dynamic relationships and fringed with joy and playfulness. This week, we welcome Gauravi Shah as the passenger. Also featuring improv teams Wampus and Shouting at Clouds.